Memorial Day marks the beginning of the summer season, and this year Rosie’s wants to make sure you don’t spend your whole summer indoors cleaning. 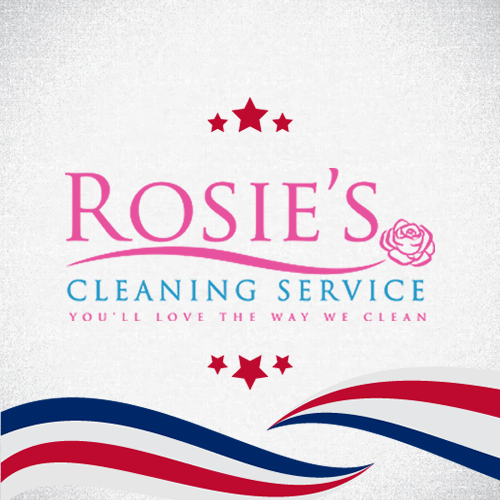 Spend Memorial Day weekend with your friends and family, and leave the cleaning to Rosie’s. You work hard all day at your job, so why should you have to come home and work hard cleaning the house? Rosie’s Cleaning believes your time at home should be spent relaxing and enjoying your home, and not spent fretting over cleaning chores. Rosie’s doesn’t just clean the surfaces of your home. We provide your home with a deep clean and help you keep your free time free. Here’s what you get with the Rosie’s Deep Clean Guarantee. No Surface Left Unturned: We get it all. Dusting surfaces, mirrors, kitchen counters, windows, shelves, furniture, and everything else. We don’t just clean the surfaces. We disinfect them too, giving your family a clean house that will also keep them healthy. Don’t Forget the Fabrics: Don’t know how to get those pesky stains out of fabric? Well we do. Whether it’s removing stains or removing dirt out of fabrics, we go where the dirt goes. Hate having to mess with the laundry? We can take care of that for you too. From hard surfaces to soft fabrics, we know how to do it all. Kitchens and Bathrooms: Probably the two places in your house that get dirty the quickest. That’s why Rosie’s leaves no corner untouched. Tub, toilet, mirror, sink and cabinets. We clean it all so you don’t have to. Where You Walk: A big house means a long time spent running the vacuum, but the professionals at Rosie’s don’t just work hard, we work efficient. 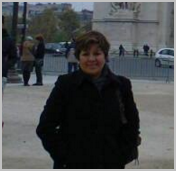 Our expert team knows how to get the job done correctly and quickly. Don’t spend all day running the vacuum. One quick phone call, and you’ll never have to worry about vacuuming again. Clean Like You Read: And that means we start from the top and work our way down. Don’t spend all day vacuuming your house only to realize you still need to clean surfaces in half the house. Rosie’s always has a plan of attack, and when we are done, you’ll be left with singing our praise. We promise. Memorial Day is finally here and with it brings all the summertime fun. Why spend the beautiful summer months toiling over housework? Give Rosie’s a call at 805-698-3132 and never worry about cleaning your house ever again. Need help with the exterior of the house, no problem. Rosie’s offers wonderful special exterior cleaning as well. With all our new free time, why not get out and enjoy some beachside summertime fun activities like harbor kayaking or paddle boarding lessons. Check out our friends at The Eagle Inn for all kinds of relaxing summer activities. Or go out for a relaxing dinner and drinks at Max’s Restaurant & Cucina. Start your Memorial Day weekend off right with a call to Rosie’s at 805-698-3132 and let us handle the dirty work. It is easy to forget how much work and effort goes into cleaning the home. 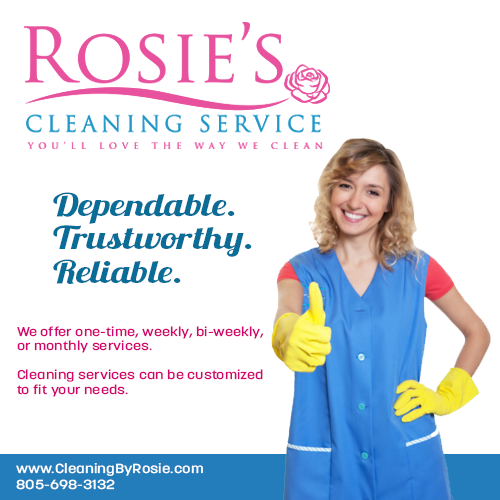 Rosie’s Cleaning Service knows exactly what it takes to maintain a clean and healthy home. Need a last minute quote? Let us help by clicking here. Or give us a call at 805-698-3132 and take advantage of our Memorial Day Weekend 20% Off Deluxe Cleaning Special. Let the flexible, budget friendly pros help take some of the work and stress out of your life. Pierre Claeyssens Veteran’s Museum & Library: This Memorial Day, join the Pierre Claeyssens Veterans Foundation (PCVF) at the Santa Barbara Cemetery in remembrance of those who gave the greatest sacrifice for our country. The ceremony will include a patriotic program featuring the Santa Barbara Choral Society, bagpipers, and keynote speech from featured guest, Captain Charlie Plumb. iMadonnari Street Painting Festival: Palettes of color and culture come together for three days each spring at Old Mission Santa Barbara. Watch street painters transform Mission plaza using pastels on pavement to create over 150 vibrant and colorful large-scale images. Hi. I have just moved out of a 2 bed/1 bath house that needs cleaning and window washing. The owners will be installing new carpet, so for the floors, only vacuuming will be needed with perhaps mopping kitchen floor. Bathtub and stovetop need extra attention, but all cupboards and drawers will probably only need dusting and light cleaning. I would like to have this done next week, if at all possible–and if I can afford you!